Do you want to earn a 75% tax credit on your Illinois state taxes all while helping provide a scholarship for a student to attend St. Matthew School? During the current school year, 290 students in the Diocese of Peoria have received over $1,104,149 in tax credit scholarships to attend Catholic Schools, including students at St. Matthew! Many generous parishioners and donors took advantage of these tax credits and made Catholic Education possible for our students. Join us! Mr. Sylvester will be here to explain the program and how you can benefit yourself by helping others. Come, learn more, and get your questions answered. Donors who contribute to the program will receive an Illinois income tax credit worth 75% of their gift. 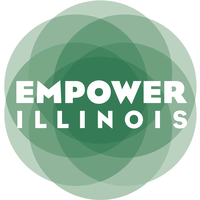 For more information on Empower donations email sgoebel@stmatt.net, or visit the Empower Illinois website.